All of us at some point start looking at our homes and hoping there were a little bit of extra room around so that we could organize it in a better fashion. If you can find a whole new room, then even better! With space becoming such a premium in the modern world, it makes sense to fully utilize every inch that is on offer. 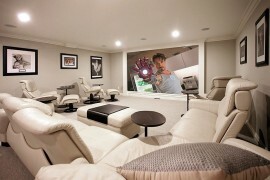 Putting the basement to good use is one such option that is neither difficult nor very expensive. 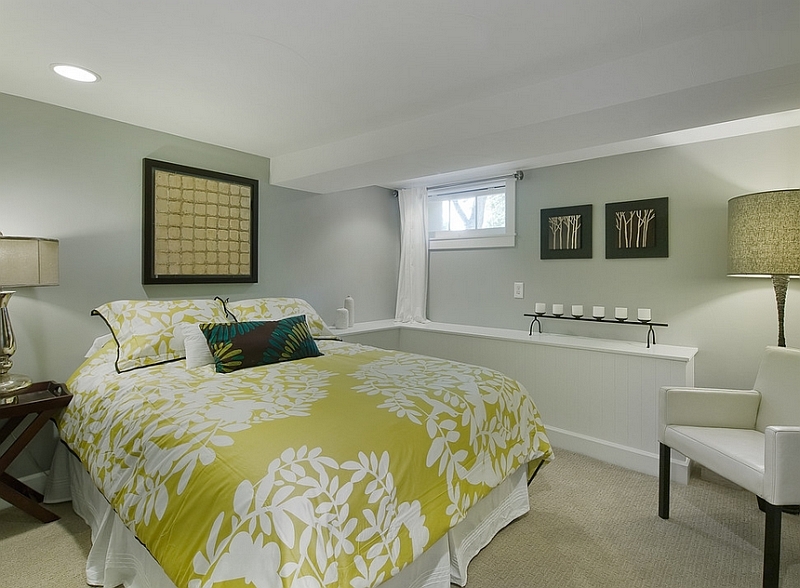 Basement bedrooms are a wonderful way of not only creating additional, usable space, but also treating yourself to a quiet, cozy retreat right at home. The most basic requirement for turning the basement into a beautiful bedroom is getting the insulation right. In many ways, this step defines how comfortable your new basement bedroom truly is, and if done poorly, you will soon be driven away from the room both in winters and in summers! Since most basements only sport bare concrete walls, opt for top-notch insulation, even if it costs a tad bit extra. Adding a few wooden panels is a good idea, as wood is a wonderful insulator and will keep your room snug and cozy even during the dreariest winters. Good insulation also keeps the noise in the basement bedroom down to a minimum. 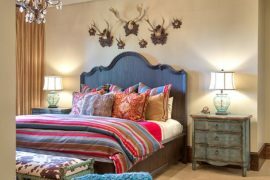 This might sound like a bit of a given while designing most rooms, but there are additional benefits to picking the style of basement bedroom well in advance. Since the basement walls need finishing, you can save on costs and make a style statement by leaving some of the elements intentionally exposed! An odd steel pipe here and there or an accent concrete wall coupled with the right pendants can easily give you a rustic or industrial look. If you are planning a bedroom for a couple of kids, throw in a rustic-style bunk bed and usher in the woodsy cabin style. 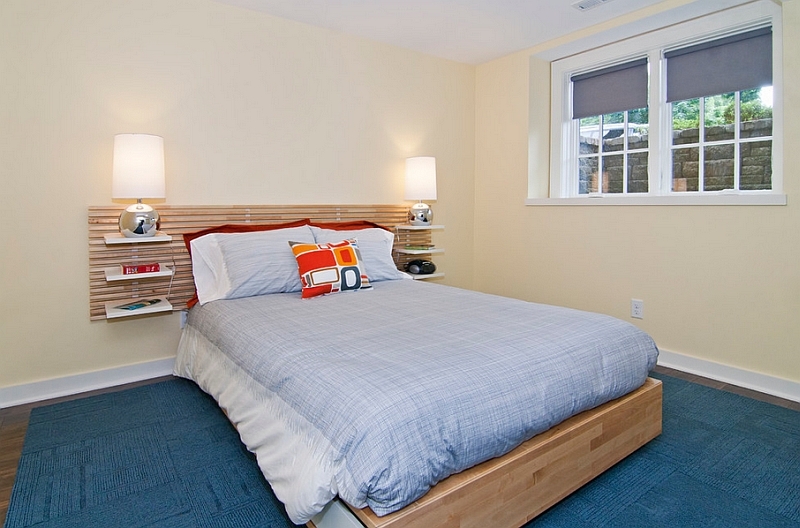 But most homeowners prefer a serene and lovely basement bedroom that looks clean and complete. 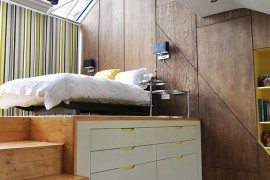 While some homes come with extensive basements that might allow you to add not just a guest bedroom but also a bath and a small living area, others have just enough room for one small bedroom. 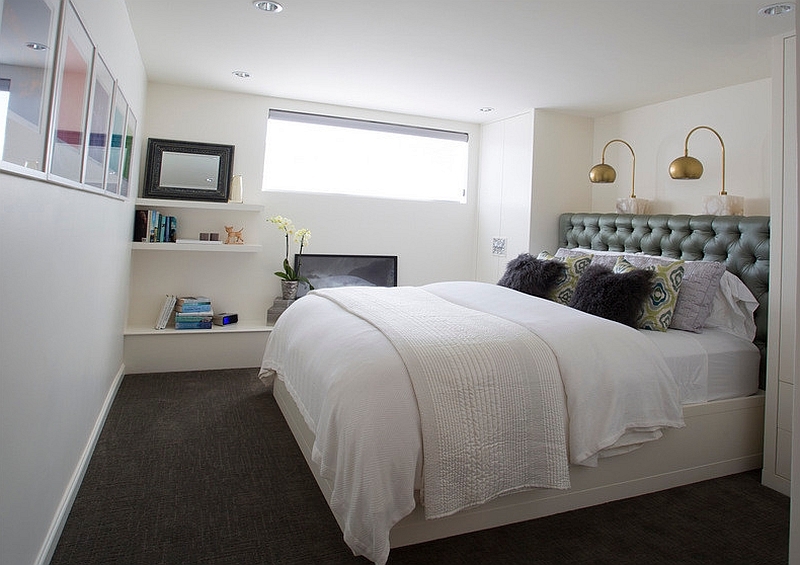 It is important to make the most of these small bedrooms by creating as much visual space as possible. 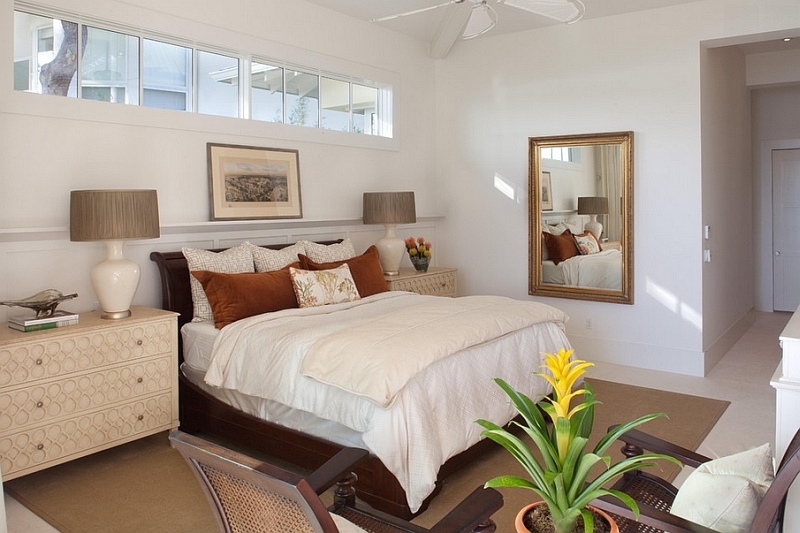 Perception is a funny thing, and with right design, even the tiniest rooms can look airy and elegant. There are plenty of little tricks you can use here. Vertical stripes or simple chevron patterns look trendy and posh. Mirrors also are a fun way to not only usher in an open appeal, but also to spread light in a more even manner. Painting the basement bedroom is all about ensuring that those sleeping there feel as secure and relaxed as they do when sleeping in one of the other bedrooms in the house. 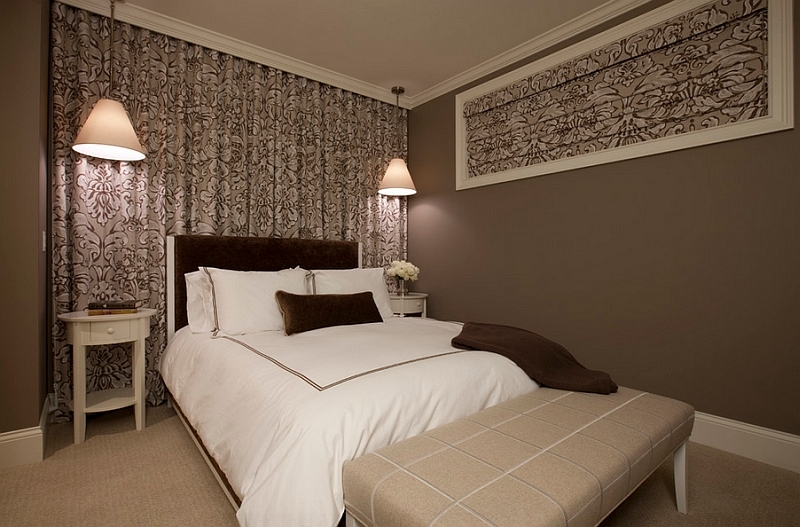 Try keeping the backdrop as neutral as possible and add an accent wall in warm hues to drive away any dreariness. Keep the color palette simple and do not use more than 2 predominant shades. Since most basements have little natural light, it is also a good idea to paint the entire room in a shade like golden yellow or cream for an inviting, warm appeal. A drywall finish with decorative ceiling beams is possibly the best look you can opt for in a basement bedroom. It gives the room a distinct identity, yet keeps the ambiance as close to the main-level rooms as possible. In fact, if you have a spacious basement, we suggest keeping the color scheme and the decor as close to the style and theme of the other levels in the house as you can. 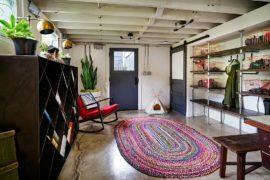 This gives the basement a sense of continuity, and you do not feel like you are stepping into an alien spaceship every time you are down there. Solid wood flooring is not an option in most basements, thanks to the humidity and the possible temperature variations. 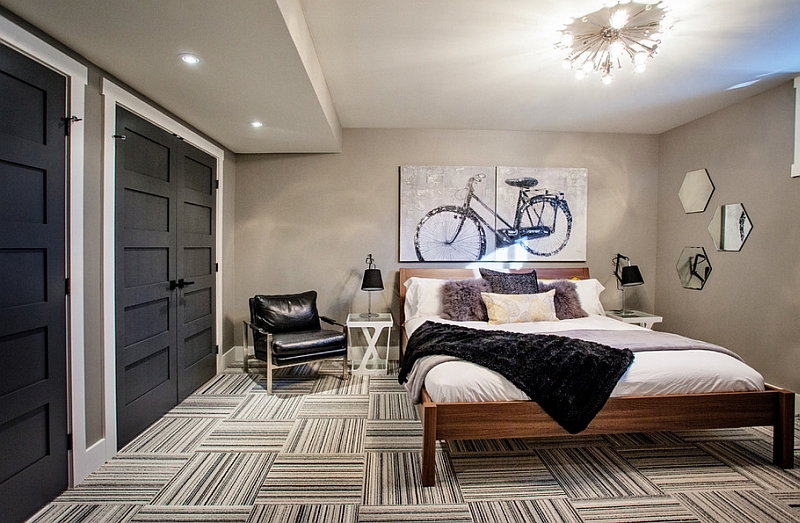 Paint, laminate tile and carpet are all good choices for the basement bedroom floor. Stylish rugs can be used to further enhance the space and add the required color and pattern. 6. A Staircase to Drool Over! Don’t we all love to make a grand entrance? The staircase leading to the basement might seem like an afterthought, but if you have to climb down a ladder to get to the bedroom, it does not seem one bit suave! 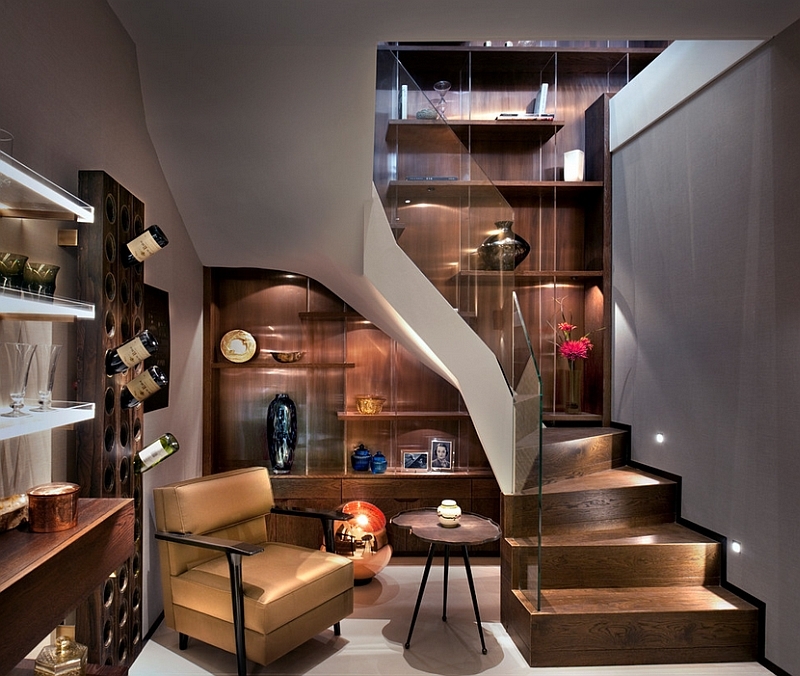 A gorgeous spiral staircase saves on space and adds sophistication to the basement bedroom. 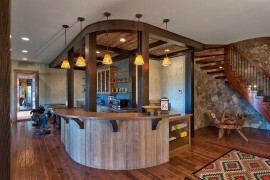 The entrance could be something more fun like a slide if you are planning a custom bedroom for your kids. Make sure that the staircase complies with the building codes in your area and opt for one that is both stylish and secure. We often talk about how important lighting is in the grand scheme of things. 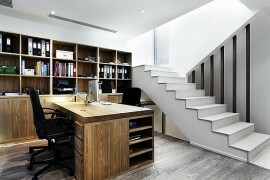 It becomes twice as significant in the basement bedroom than in the main levels of the house. With natural ventilation being minimal, you rely almost entirely on artificial lighting fixtures in the basement. Like always, the best approach is to combine several different layers of lighting. Since you are planning for the bedroom, you might not need as much focused lighting as in the case of a playroom or family room. 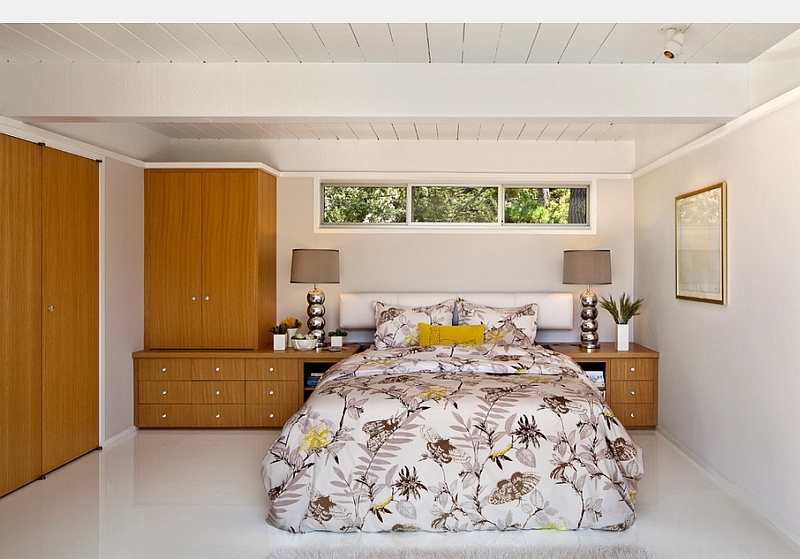 Add a couple of bedside sconces and use a few snazzy pendants to save on precious space. 8. Plan Your Escape Route! 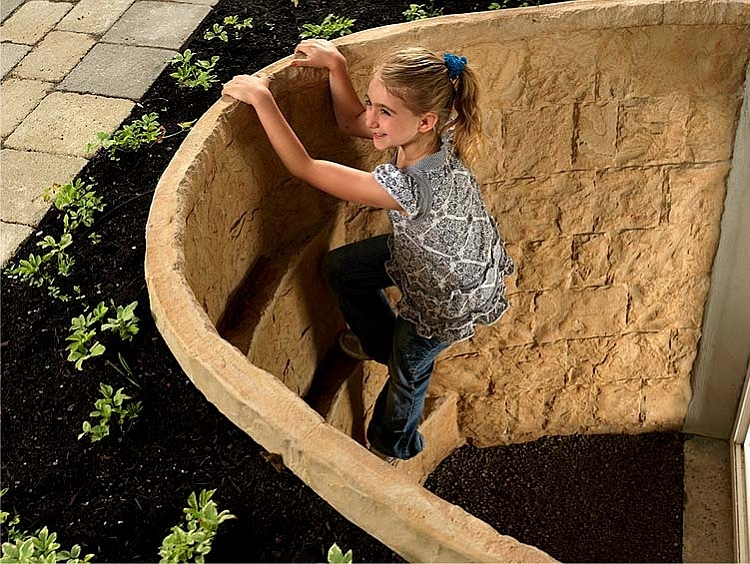 In most countries, basement living spaces must have emergency escape and rescue openings as per the local building codes. Even if your local authorities are not too particular about it, do incorporate them for your own safety and that of your family. 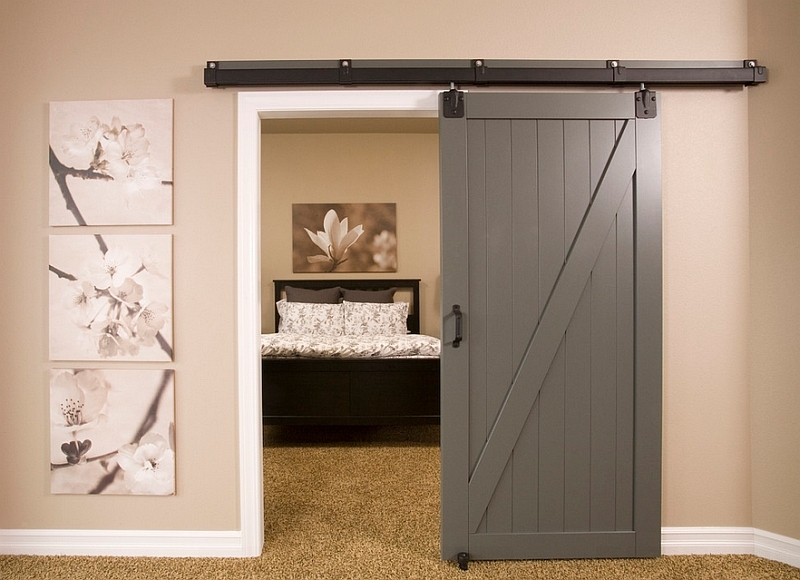 Basement escapes have proven to be great life savers in case of fires and natural disasters. An egress window is a smart option that is worth considering. Large upper windows in the room also provide a wonderful escape route, along with some much-needed natural light. In case you really wish to transform the mood of the basement bedroom and also provide a deft escape option, basement window wells come in handy. Setting them up does require some effort and digging, but they are well worth the sweat! The approach to designing the basement bedroom might be completely different from the one you take for the bedroom on the main levels. But the quality of bedding, decor and accessories must be exactly the same. In fact, we suggest you invest in comforters and pillow covers that are far more comfy to turn the basement bedroom into an amazing retreat. Just sink into this reclusive little haven of yours on weekends and holidays and find a tranquil escape right at home. For those with busy lives and a large family, it is the perfect way to catch a much-needed break!